Throughout the 2018 NFL season, one of the major story lines surrounding the Dallas Cowboys was how frequently Dak Prescott was taking sacks. 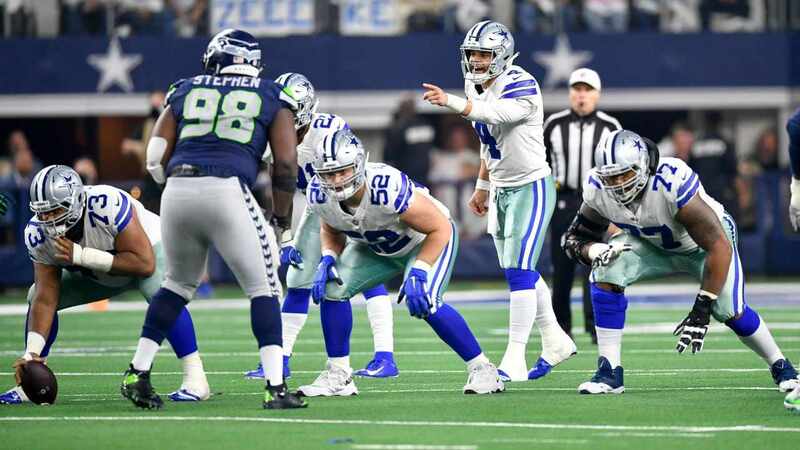 It's an area that the Cowboys will have to look at in the offseason to better protect their franchise quarterback moving forward. In the playoffs, however, Dak Prescott and the offensive line were much better at keeping their prized possession upright than they were in the regular season. In the regular season, Dak Prescott was sacked 56 times for an average of 3.5 times a game. There was only one game where he wasn't sacked at all, way back in week two against the New York Giants. Four times this season, the Cowboys' quarterback was sacked five or more times. The New Orleans Saints got him for a season high seven times. According to Pro Football Focus, Dak was "kept clean" -- not pressured -- on 63% of his drop backs during the regular season, which ranked 25th in the NFL. When kept clean, Prescott completed 74.1% of his passes, which was good for 5th in the NFL during the regular season. He was under pressure 37% of the time, which was the sixth highest rate in the NFL and his completion percentage dropped to 52.6%, still good for 10th in the NFL. It was better than Aaron Rodgers, Tom Brady, Russell Wilson, Patrick Mahomes, Jared Goff, Carson Wentz, and Baker Mayfield. During the playoffs, the Cowboys offensive line kept the pressure off of Prescott at a better rate, allowing him to be pressured on only 31.9% of his drop backs. Meaning he was kept clean at an improved rate from the regular season at 68.1% of his drop backs. This while playing against two teams that are really good at rushing the passer. The Los Angeles Rams and the Seattle Seahawks both finished in the top half of the league in sacks this season and feature players like Aaron Donald, Jarran Reed, and Frank Clark who all had double-digit sacks. As we know, pressure rates and sacks aren't all completely on the offensive line. The quarterback, wide receivers, and the play calling all factor in, but the Cowboys are trending in the right direction with their pass protection. A full offseason for Connor Williams in the Dallas Cowboys strength and conditioning program, better health for Tyron Smith, Zack Martin, and -- fingers crossed -- Travis Frederick, should all help the offensive line play at a higher level heading into the 2019 season. It can't be overstated how important it will be to get Travis Frederick back into the fold this season. Joe Looney was good, and that might be overstating it a bit. 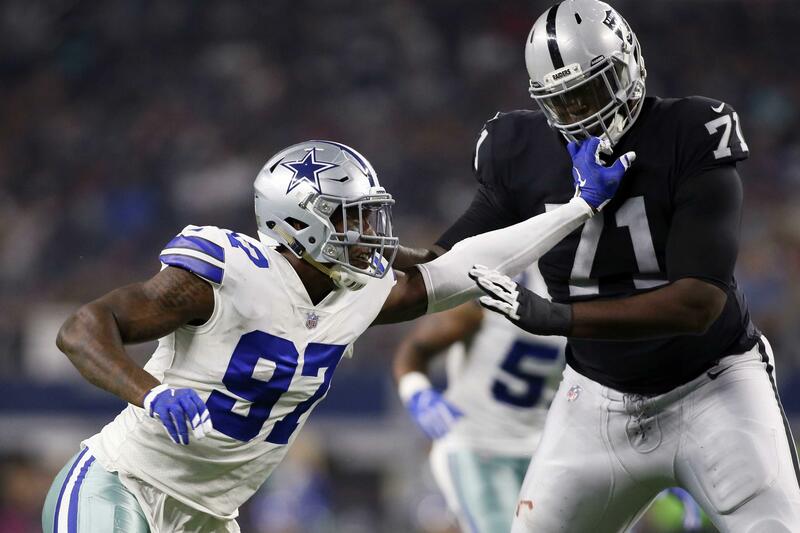 He was not noticeable on most plays during the season, but getting your All-Pro center back will tremendously help the offense in every facet of the game. Frederick's one of the smarter players in the NFL, who helps everyone on the offense to see the blitzes and calls out the protections. 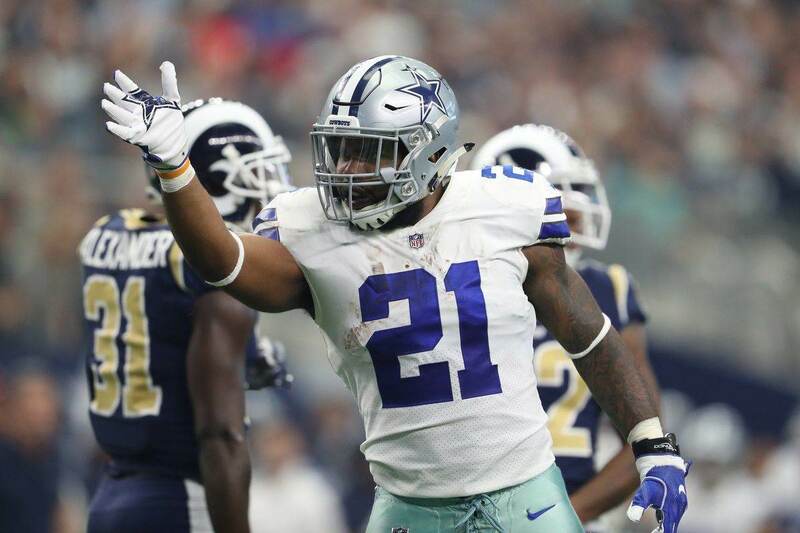 Both his mental and physical ability will be a welcomed site when the Cowboys begin practicing in the offseason. With another year of growth for the quarterback and for the young pieces along the offensive line, and with a full offseason for Dak Prescott to grow with Amari Cooper, Michael Gallup, and Blake Jarwin, the Cowboys should be better next season at keeping the quarterback clean.